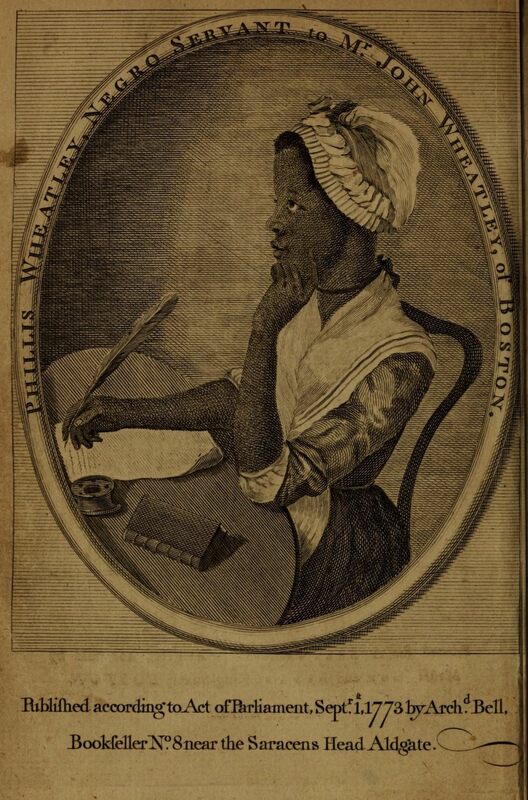 As an enslaved person who received early attention and later sank into poverty, Phillis Wheatley takes her honorable place among other inadequately supported writers of her time. This slim volume contains odes, occasional verse, and hymns—many addressed to specific people. By demonstrating that a young African slave could write elegant verse, it became exhibit A in discussions of race and intelligence. Copies on display here are opened to the attestation page that assures readers of the author’s identity and the title page with Wheatley’s signature.